Pope Francis has written a letter addressed to every person on the planet, asking us all to protect the earth. Will you play your part to protect our common home? Can't see the film? Right click here to download to your desktop. Ideas of ways to explore the Laudato Si’ animation with your class and suggested follow-up activities. Explore the images from the Laudato Si' primary animation with your class. Reflect or look in more detail at the content of the Laudato Si' primary animation, using the script. A downloadable version of the Laudato Si' poster. The poster can also be ordered for free from the CAFOD shop. 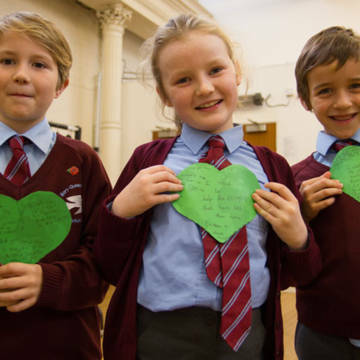 A resource to support children aged 5-11 respond to Pope Francis' encyclical Laudato Si'. Explore our resources on climate and environment.